Our end of year season was a symphony of sneezes. It’s inevitable, we joked, as family members from as far away as Illinois and Italy joined us in suburban Philadelphia. Until the youngest member of our clan started struggling for breath – and our coldlike symptoms suddenly seemed more sinister. On New Year’s Eve, his parents, visiting from the Midwest, took him to an urgent care clinic. The doctor called an ambulance and sent them to a nearby emergency room. Later that day, they were transferred, again by ambulance, to the Nemours/Alfred I. duPont Hospital for Children in Wilmington, where 5-month-old Timo spent the next four nights receiving supplemental oxygen, having mucous suctioned out of his nose and lungs, and being closely monitored for complications. For a hospital such as Nemours, that represents a huge burden, said Jonathan Miller, director of primary care pediatrics. Of the 350 patients admitted in one recent week in January – for everything from surgery to oncology – 71, or 20 percent, were for bronchiolitis, mostly caused by RSV and representing the vast majority of admissions in general pediatrics. 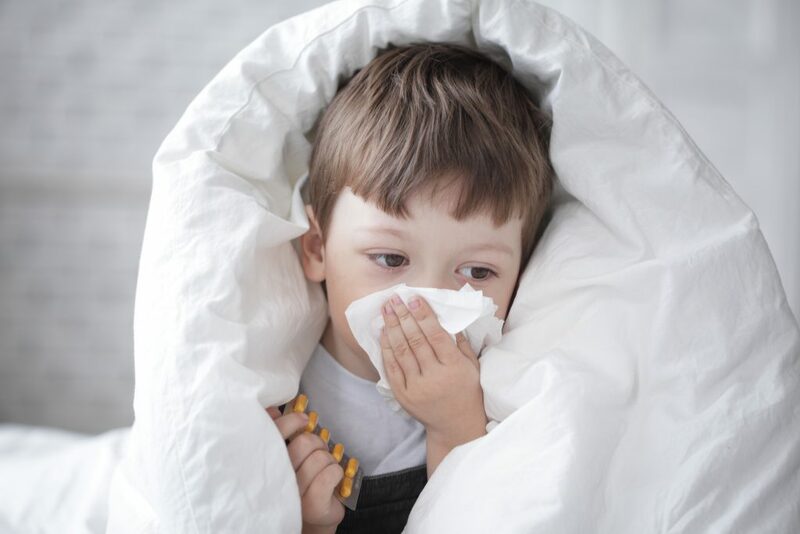 Some children become very ill, with the infection lingering beyond the expected few days, and require highly specialized care, including IV fluids and intubation. Five of the 71 admissions had to be treated in the pediatric intensive care unit. Complications often occur in children who suffer from underlying conditions, such as congenital heart disease or chronic lung disease, or in babies who arrived prematurely – as Timo did – before having received the full complement of maternal antibodies. All infants have small airways that are easily blocked by mucus. Karron has been working with colleagues at the National Institutes of Health on one of several efforts to develop a vaccine. She said she hopes it will be available within the next five to 10 years. A vaccine given to expectant mothers to protect their babies could be ready sooner.